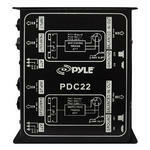 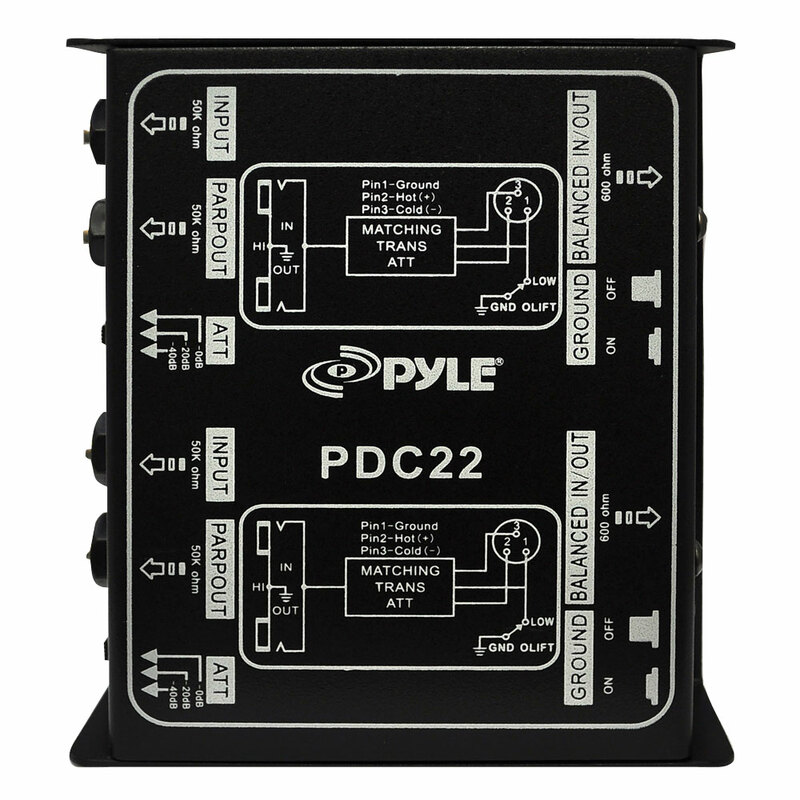 Pyle PDC22 is a necessity if you are looking for the higest quality of sound, with low distortion, noise, and eliminate ground loops. A DI unit, DI box, Direct Box, Direct Input, Direct Injection or simply DI is an electronic device that connects a high impedance, line level, unbalanced output signal to a low impedance mic level balanced input, usually via XLR connector. 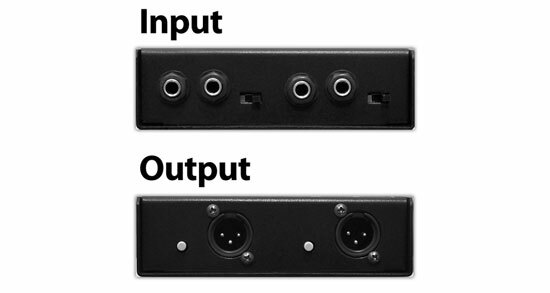 DIs are frequently used to connect an electric guitar or electric bass to a mixing console's microphone input. 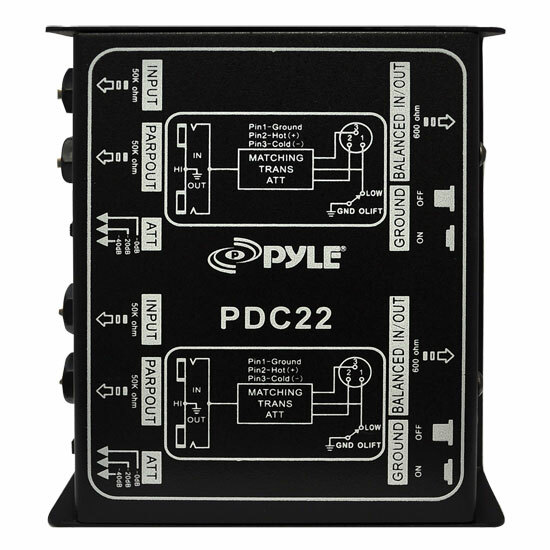 The DI performs level matching, balancing, and either active buffering or passive impedance bridging to minimise noise, distortion, and ground loops. 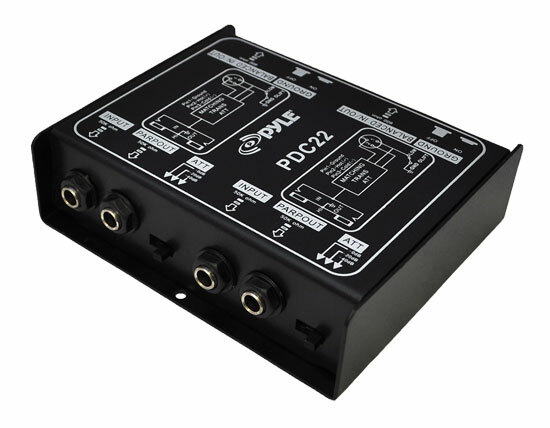 DIs do not perform impedance matching. Pyle has been in business for over 35 years, and their manufacturing experience and expertise is easy to see - and hear.